Our latest podcast is called “What Do Hand-Washing and Financial Illiteracy Have in Common?” (You can download/subscribe at iTunes, get the RSS feed, listen live via the media player above, or read the transcript.) It explores the idea that most problems are solved by more education — except when they’re not. LANGBERG: There’s something in the human condition that somehow disconnects what is really good evidence from personal choice and habit. And I don’t know why that is. I’m not a psychiatrist; my field is internal medicine. I just have the observation. Physicians are no different. You’ll also hear National Book Award winner Sherwin Nuland, another doctor, talk about Ignatz Semmelweis‘s discovery of the importance of hand hygiene. We then turn to the topic of financial literacy, which we’ve written about before. You’ll hear from Alan Krueger, chairman of the White House’s Council of Economic Advisers; and from Krueger’s predecessor, Austan Goolsbee, who talks about the role that Americans’ financial illiteracy played in the Great Recession. LUSARDI: In the same way we start people, you know, in school just reading and writing, you know, from the very beginning. We don’t teach literature so that people go on and write “War and Peace,” but we teach it so that people can appreciate a good book. WILLIS: It’s sort of like saying, well we should start teaching everybody to be their own doctor, teaching everyone to be their own mechanic, you know, something like that, terribly inefficient to do that. Not only is it inefficient, but it has this sort of culture of blaming the consumer. You know, you’re the one who didn’t figure this all out. Arguing against financial literacy, saying it is better left in the hands of advisers, is like saying people shouldn't learn how to cook because they can just eat out all the time. Learning how compound interest works or present value works isn't hard and we would all be better off if people has some basic knowledge about finance. OMG, listening to Lauren Willis argue that Financial education is bad gave me a window into the period before the reformation and enlightment - "ignorance is good." The fact that she argued that people in the financial services industry were the ones who supported her view was even more testament to how bad her ideas are. We are living during a tectonic shift in financial security for Americans. My parents generation path to financial security was: stay at job for 40 years, pay off your house, collect pension. That's all theyhad to know about Finance. That era is gone. With the elimination of Pensions and job security people have to fend for themselves and negotiate a complex world of Finance. Most people are ill-prepared for this. And sadly there was a growing world of financial service companies (brokers, mutual funds) who have stepped in and have financially raped millions of people with hidden fees and lousy products (I worked in that industry and left). I remember showing my father in law on a computer how his broker - from a nationally known financial services company - was killing him with expensive funds, hidden fees, transaction costs, churning his account. He was dumbfounded. It's not wonder this group would say financial education is bad: nothing is worse for business than an educated consumer. Lauren Willis has not thought through her argument. Lauren, please post your address so I can send you a t-shirt that says: "Ignorance is good." Because you exemplfiy that motto. I like this article. financial intelligence is of great interest to me. What I really smiled at, though, was the description of the hand print growing bacteria in the petri dish. I work in pharmaceutical manufacturing (putting sterile drugs into sterile bottles) and we are required to be tested every time we enter the 'clean area' - our fingertips and the outsides of our clean room suits are touched by growth medium (agar) in plastic petri dishes. If you fail you are disqualified from re entering the 'clean room' until you prove that you can keep yourself clean. I had thought that some of the illiteracy over financial matters was actually a rejection of quite common sense, old-fashioned ideas that most of us are familiar with. - Waste not, want not. - Don't put all your eggs in one basket. - Neither a borrower nor a lender be. That is, work hard, avoid debt, invest savings in a few places, spend frugally and you'll probably be fine. Do people really need a much more sophisticated financial education than that? Absolutely Shane L., simple but true. But none of this makes money for the financial service industry. If you can shame doctors to wash their hands, then you can use the same incentives to encourage financial literacy. All you have to do is publicize the current list of bankruptcies. How about rolling the financial regulations back to what they were before all these corporations, lobbyists, and greedy politicians got to gutting the regulations? Perfect example was banks moving to debiting checking accounts in the highest to lowest amounts rather than in the order presented. This was done to increase fees to the consumer. If something as simple as this changed in orer to profit a corporation, deeper financial issues can not be solved by more education. Same figures for the rise in payday loan businesses and rent to own businesses. "but it has this sort of culture of blaming the consumer. " Here is another issue- some of the anti-debt folks (like anti-debt guru Dave Ramsey) will not lift a pinky finger to oppose the system even in their own back yard since they profit from the consumer abused by the system as it is now in place. there's a big difference between teaching washing your hands often will help you prevent as many colds, versus teaching everyone to do brain surgery. equally, there's a big difference between just teaching everyone some basic financial literacy, versus teaching everyone to manage a mutual fund. that lady is crazy. "It’s sort of like saying, well we should start teaching everybody to be their own doctor, teaching everyone to be their own mechanic, you know, something like that, terribly inefficient to do that." In my opinion, it's nothing like that. Yes, it would be innefficient for everyone to spend 3 years in medical school. But it's still a good idea to teach people how to do the basics: learn the purposes of over-the-counter meds, know how to stop bleading, etc... And know the difference between something you can do yourself and something that needs medical attention. Same with mechanics -- everyone really should know some basics, if for any, just to avoid having to pay someone to do routine stuff (like changing wiper blades). Same with financial education. I don't need to know exactly how everything works. But I'm certainly better off knowing the basics. I can figure savings, make simple investments, do my own taxes, and accurately calculate how much house I could afford. You do not need an expect for such things. But if I was playing with millions of dollars, I would also know enough to get some help from time-to-time. As with just about anything, the best answer here probably falls somewhere in the middle. Become an expert in the field that's going to pay your salary, know enough to get by in the other important areas, and know when to ask for help. This seems exactly right. An amount of basics in many fields is a very good idea, even though, of course, no one can be an expert in everything. Nor are there only two levels in the best version, mind. To return to medicine: an accountant, a lifeguard, a nurse, and a doctor, benefit from different levels of medical training. The median lifeguard really should know more first aid than the median accountant because it's more use to them. Nor is the knowledge of course strictly about better. An EMT and a pharmacist both have use for medical knowledge not common to the general population, but it's not the exact same medical knowledge. Pharmacists need more overall, but don't need to know as many techniques for preserving life in acute emergencies as an EMT. Why is it inefficient for everyone to be their own mechanic? I've always done almost all of the mechanical work on my cars, everything from oil changes to complete engine rebuilds. In addition to having saved me many thousands of dollars over the years (and that's only the cost of honest mechanic work, not the occasional shop that sees a sucker walk in the door), it's provided intangible benefits such as recreation and a sense of accomplishment & self-sufficiency. It's the same with finances: I may not want to spend the time necessary to wisely invest in individual stocks, but I can certainly pay attention to market trends, pick low-overhead mutual funds with reasonable long-term policies, not put everything in one get-rich-quick fund, and - most importantly - not panic and sell everything when the market drops. Wouldn't this be a state issue? There is not power in the Constitution for this. The biggest problem I see is government policy which enables financial idiots to be reckless, especially through the massive credit expansion of the federal reserve. Would education have helped? Many of the "financial experts" were also fooled. What is that hauntingly familiar (and haunting) music used at the beginning of the podcast (and again later on)? Lauren Willis fails to even acknowledge some of the reason everything is so complicated in financial investing; lawyers. Mr Levitt is right. We, the listener of your podcast should be very thankful for your good podcast. Thanks a lot from Germany. I am getting a lot of insight and knowledge. Not always “need to knows” but a lot “nice to knows”, which I can apply in conversations with my network. 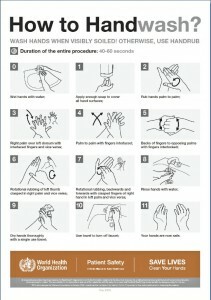 Concerning hand washing hygiene, also here in Germany this problem persists. I had some hard discussions in the past about hygiene with my friends, especially doctors. They were doubting about my hygiene concern. I will suggest them to listen to this podcast. Thanks and best regards, Erkan. EDUCATION IS NOT THE ANSWER!!!! Education is only a means to an answer not the answer itself. People need to be motivated to employ education (financial literacy). all the education in the world can not make you successful with out being motivated to use it. the true question should be not "why are people not educated" but "why are people not motivated to use education?" Nice....The next car I buy I will let the Car Salesman educate me on all I need to know. Wrong! I was confused by the financial literacy questions mentioned in the podcast. I heard the first question as: If you have $100 in an savings account that has 2% interest and you leave it for 5 years, would you have more than $102? I agree the answer is "yes," but Dubner's line "that's the miracle of compound interest" doesn't make sense in this context. Even if the interest didn't compound, you would still have $110 after five years, which is more than $102. (If the interest compounds annually, you would have 40 cents more...) This makes me wonder if the question was stated properly. More annoying is the third question, which compares buying a single stock versus buying a mutual fund. The answer given is that a mutual fund gives a "safer return." However, I don't think that takes into account that mutual funds charge a fee, whereas some stocks pay a dividend. Listening again, I guess there was a carefully placed "usually" in the question that swings the tide towards the mutual funds, but it certainly seemed ambiguous when I first heard it in the car. Would you mind crediting the music? I want to know what the first piece of music is. Like many I was at first shocked by what Lauren Willis had to say, but then looked into it a little more. If you look at some of her academic papers, she is saying that in general financial education isn't efficient. Many don't want to participate, while for others a little knowledge is dangerous, and for some the psychological factors that affect their financial decisions can be a lot more complicated that what can be covered in a semester long high school class. She argues to be effective there would have to be unbiased financial advisors to help education everyone on their own situation. This would be very expensive and it might be more efficient to change regulations or other policies that wouldn't let people make poor decisions. This wasn't even her intention when she started looking into it, but most of the academic work supports her arguments.